Exceedingly popular and important sports card in any condition. 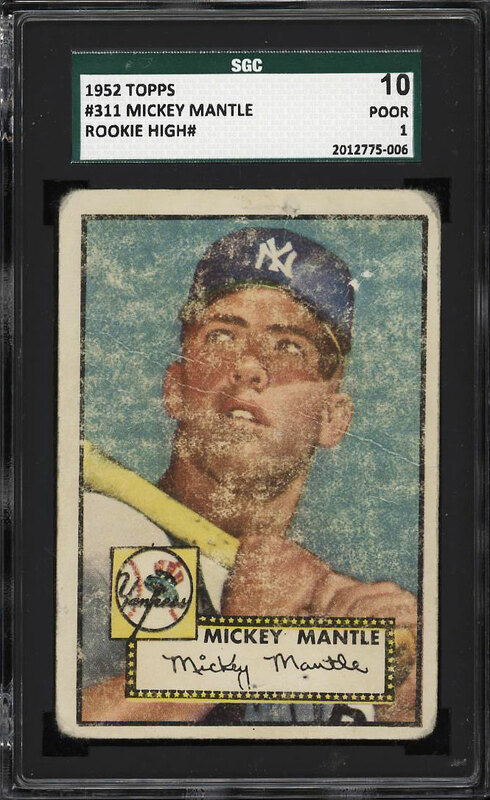 The offered '52 Topps Mantle dispalys beautiful centering but suffers from heavy surface wear along with creasing and even corner rounding. The card has some erased pencil marks on the front surface near the top border. Worthy of consideration. 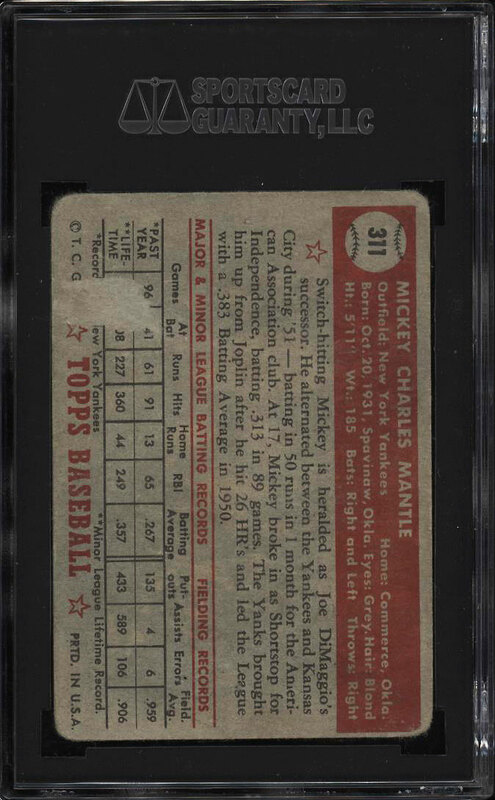 One of over 15,000 cards, lots and sets up for bid in our 7th Auction of 2018. Click on the link above to view the other PWCC auction lots.